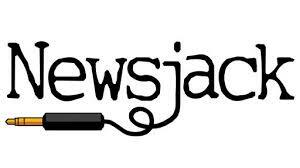 Newsjack Series Ten Critique with BONUS JOKES! As you may or may not know, the topical ‘sketchbook’ comedy series ‘Newsjack’ has just finished its tenth series on BBC Radio 4 Extra. The show has an ‘open-door’ policy for writers, allowing anyone to submit sketches and jokes each week to be considered for the script. Over the last three series I’ve had credits in 9 episodes (two in series 8, five in series 9 (including a sketch) and two in series 10). I would say I’ve been lucky to get these credits, but that’s not entirely true – I’ve also been really disciplined. Each week I prepare the maximum number of sketches and jokes they allow you to submit. I spend all week keeping an eye on the news, making notes if I spot something with potential. I then spend a whole day getting my sketches together and the best part of another day writing one-liners. Basically for six weeks I lose my Sundays and a good part of Monday to topical writing! The format of the show changed a bit this year. I was invited down to Comedy House in London to attend a briefing where we were introduced to the new format by the new producers. I got to meet a bunch of other writers. The BBC provided beer. We all went to the pub afterwards. It was good. The new format was challenging. Less submissions allowed, a strict format for one-liner jokes, and a new ‘feel’ to the show. A lot of these changes were centred around the new host, stand-up comedian Romesh Ranganathan, who now opens the show with his own routine before the rest of the cast join him to start performing the submitted material. There was some unease at these changes, hence the writers briefing I think. It felt initially like we were losing nearly ten minutes of potential joke placement to Romesh’s monologue, and that the prescribed one-liner formats were stifling (previously you could just submit as many jokes as you could fit on a page, in whatever style/approach you felt like – now you are allowed three jokes in each of three categories – ‘coming up’, ‘breaking news’ and ‘listings’). However, things change and people must adapt – and I got the feeling that most writers (like myself) just knuckled down to the new show and vowed to see what happens. To start with the positives; I liked Romesh’s opening monologues. It feels fine to me that a show that is designed to bring people up through the ranks should do the same for the cast and crew as it does for the writers. I’ve already heard Romesh appearing since on the ‘News Quiz’ (Radio 4) and hopefully thanks to Newsjack we will hear/see more of him in the future. The change-up to one liners worked quite well – breaking up sketch features and keeping the show interlaced with snappy jokes between longer sketches. As per usual, the rest of the cast did a sterling job with most of the sketches, especially Lewis Macleod and Morgana Robinson (who joined the cast this year, a steal for the producers I reckon). And most of all, it did what it set out to do: showcasing material by none-commissioned writers from across the country who otherwise wouldn’t have had the opportunity. I think there is a general reluctance amongst the writers to say anything negative about the show in the fear that they may never get a broadcast credit again! However, what sketch show have you ever heard which doesn’t have its ups and downs? The famous hits and misses? And naturally, there were a few things that didn’t quite work for me. I think most of them generally stemmed from a bit of an identity crisis throughout the series. I registered a shift away from satire towards goofy-entertainment style stories – but then I think it went back towards satire again towards the end. This is understandable when the new producers had a vision for the show and were willing to test things out to see what does and doesn’t work. This may have led to come sketch/joke choices for the purpose of fitting the new vision, rather than being the best of the bunch. But under such pressure to collate, choose, redraft, rehearse, perform, record and edit the show each week, I think we can forgive the odd groaner or sketch that didn’t land quite so well. Also, Romesh isn’t a character actor, so we only had one male voice that could do diverse characters (in the form of the vocally-talented Lewis Macleod), so some sketch options felt thin, and there was a lot of one-to-one interview style sketches in order to give Romesh a role to play (as himself). These often worked quite well, but I think another male character actor would of helped a lot here to broaden the options. Another thing to keep in mind is that the old format was also not perfect, because topical sketch shows often aren’t (even the ‘Now Show’ has it’s off-moments). So all in all, I think it hit the brief, raised more smiles than not, and explored some new territory at the same time – all good work for when they start planning series eleven (I hope). Anyway, I’ll leave you now with a few of my jokes that did and didn’t make it into this series (I haven’t included the sketches here, I will put them up another time). Well done to all those who got stuff on, and all those who didn’t but stuck at it anyway. ← ADMIN CAT! Has a new friend? Love the Bingo Bingo, Game of Throws and Keyhole surgery lines…they are worthy of broadcast, certainly!